Lord Henry Pomeroy's three daughters are finally married and happily settled in their own homes. He's looking forward to grandbabies and the company of Lady Crampton, the woman who acted as chaperone and companion to his daughters the past four years—and stole his heart in the meantime. Except she is moving out of his house! Lady Selina Crampton has fallen hopelessly in love with her employer. Now that his youngest daughter is married, there is no longer a reason for her to remain since her work has come to an end. Marriage is not possible, and the time has come to confront her demons and tell him why she has refused his numerous offers of marriage. It appears everyone is going to have their happy ending except them. 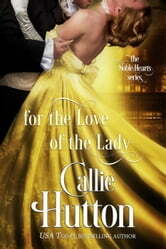 For the Love of the Lady by USA Today bestselling author Callie Hutton is a historical Regency romance with heart, heat and a happy ever after. 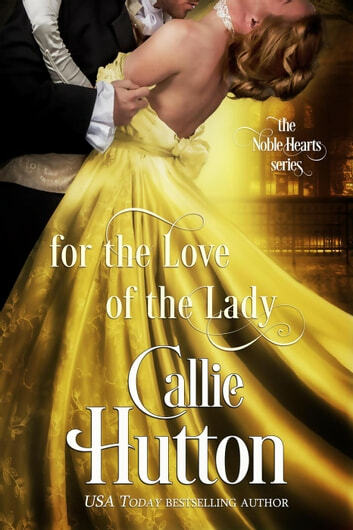 Well written, as all of Callie Hutton’s books are. This story is very sweet, but maybe too short, and I struggled to love the characters. I like a little less bumbling in the leading man department, but Serena’s character made up for much. A lovely way to wrap up this series, but for me a little short on romantic excitement.